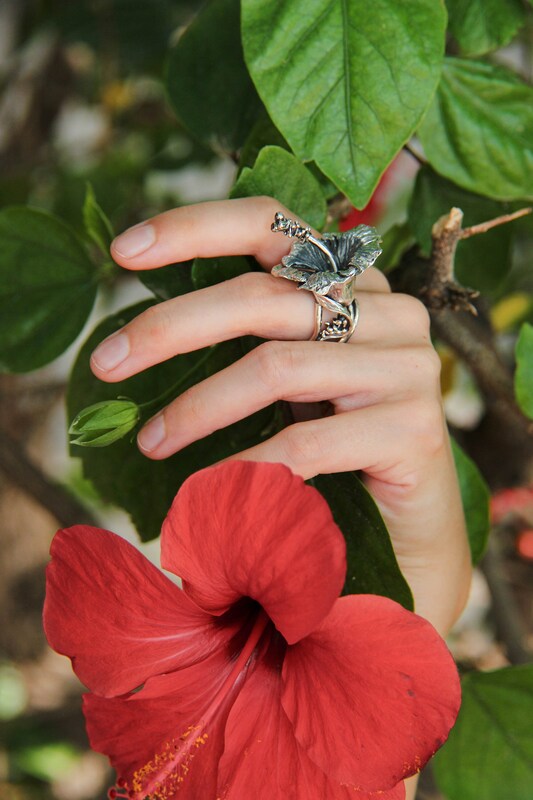 This unique hibiscus flower ring is definitely a show-stopper. 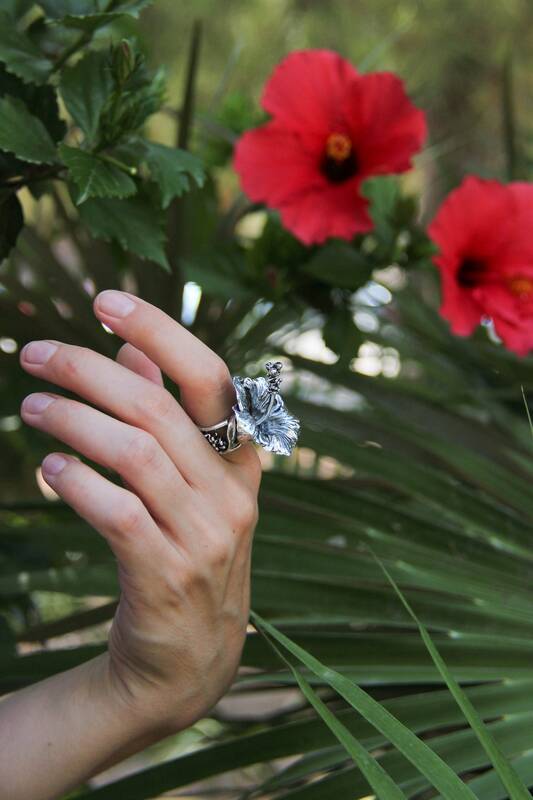 It features large flower and skilfully made comfortable shank. 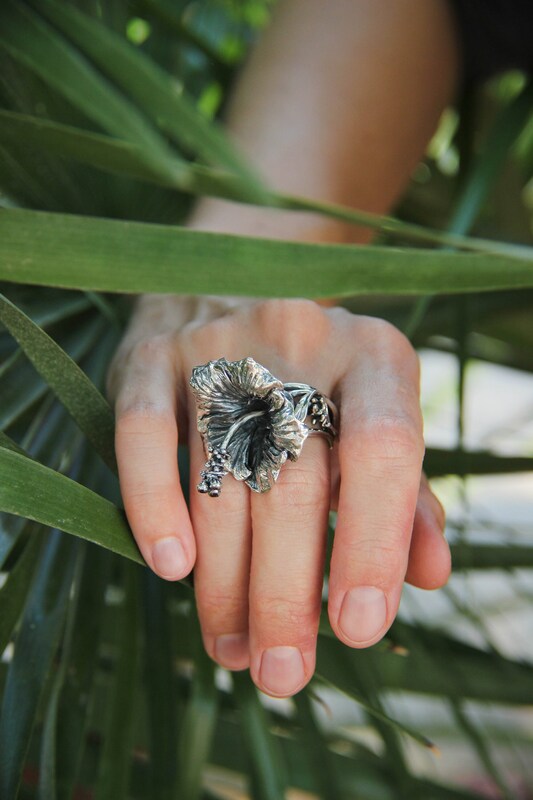 Statement ring is handmade from sterling silver and oxidised for a contrast look. 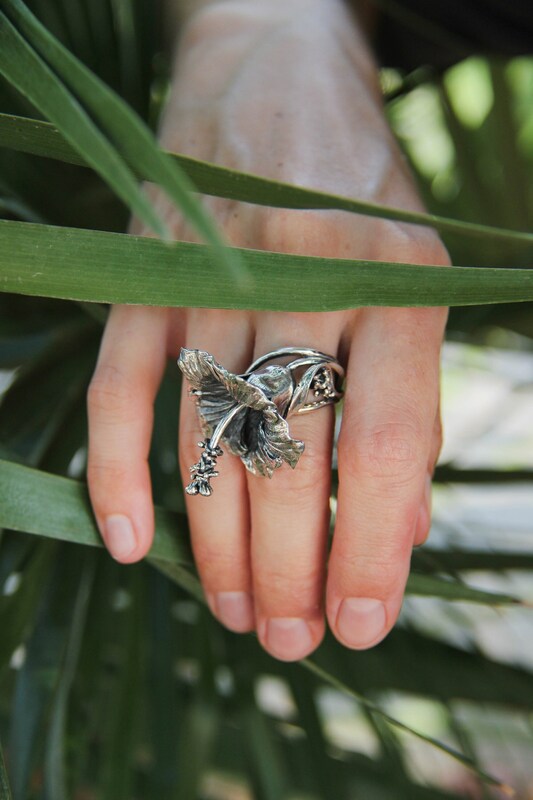 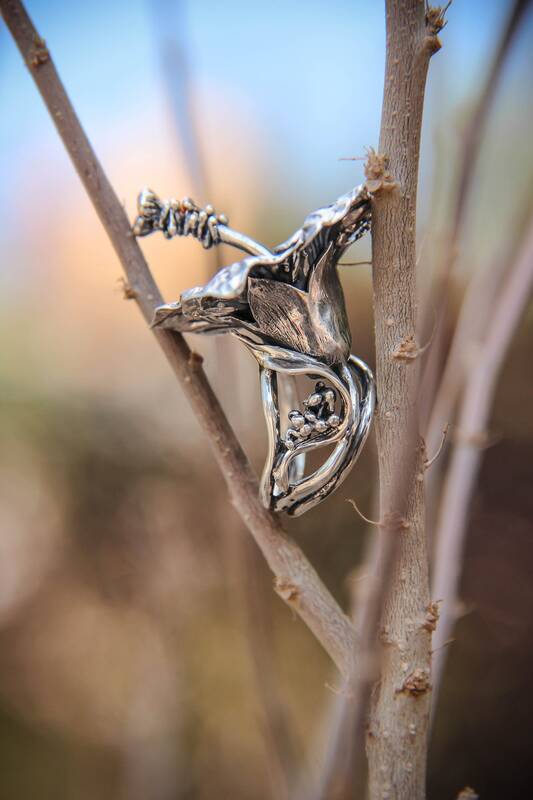 This could be an unforgettable gift for any woman who admires bold nature inspired jewelry. 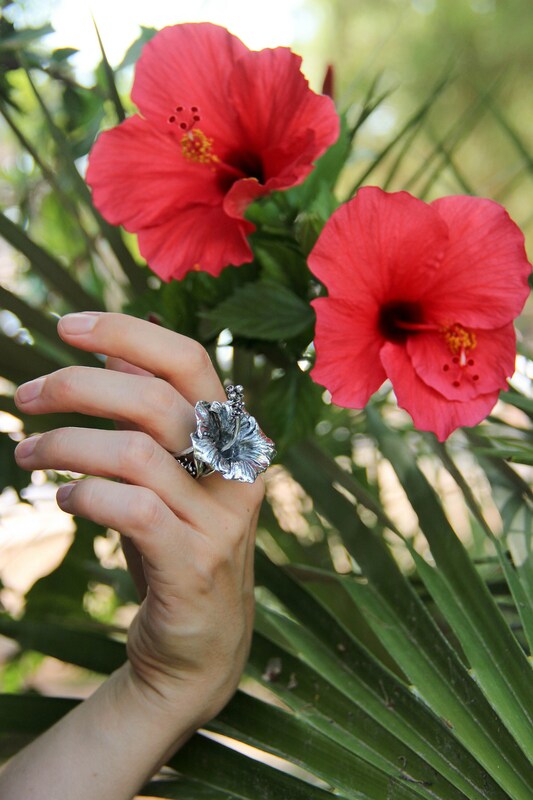 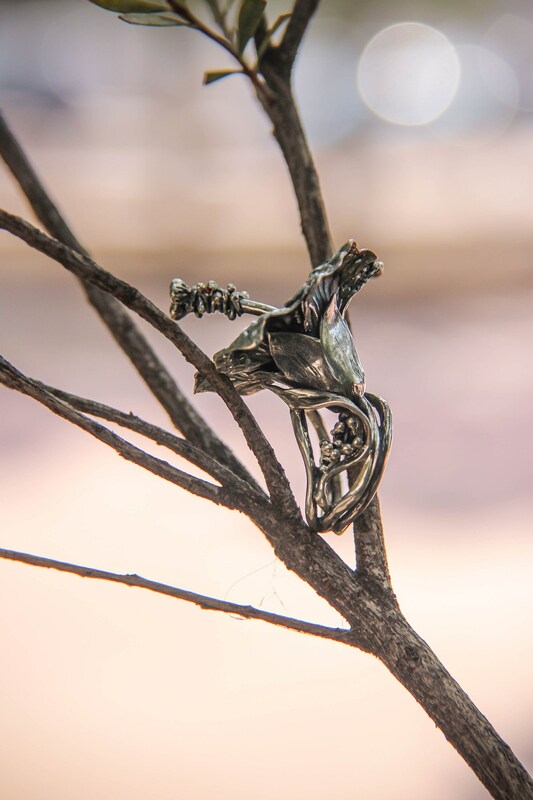 This large flower ring stands out from mass produced jewelry. 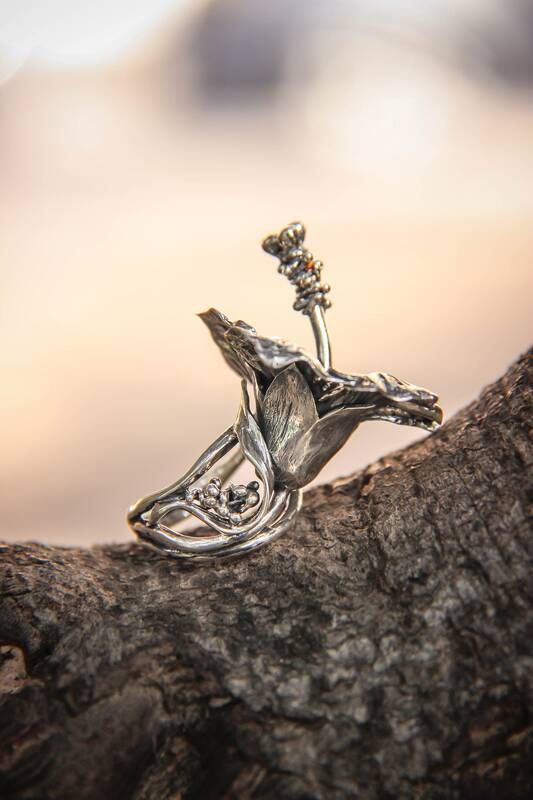 It is made by my original design and could become a favourite one in your jewelry collection. 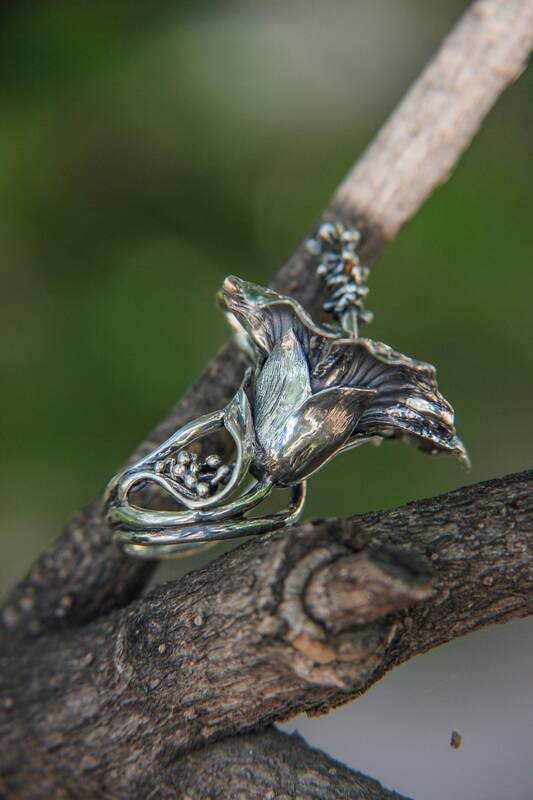 If you need another jewelry (brooch, pendant) with hibiscus flower, please contact me.